The new year has arrived, and with it, many reasons to be excited about AMD. 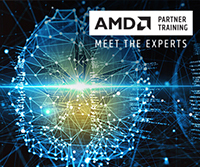 Discover AMD’s top 5 accomplishments of 2018 and how they will drive success in 2019. AMD has announced the first round of its 2019 mobility line-up encompassing all notebook segments. 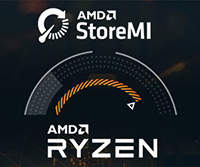 In addition, AMD announced that starting this quarter, gamers, creators and enthusiasts will be able to install AMD Radeon™ Software Adrenalin 2019 edition to bring the latest GPU features and game optimizations to all systems powered by AMD Ryzen™ Processors with Radeon™ Graphics. AMD StoreMI technology combines the speed of your SSD with the large capacity of your hard disk into a single, fast, easy-to-manage drive. A powerful tool to unlock the full potential of your storage. AMD’s smart features such as StoreMI and SenseMI offer ways to manage systems for peak performance. Watch Robert Hallock, AMD’s Technical Marketing Manager, give us a closer look at AMD’s smart features.